– Download Receiver for Linux.rpm and USB support package.rpm from ‘http://www.citrix.com/English/ss/downloads/details.asp?downloadId=2316611&productId=1689163’ in Firefox to /home/tc/downloads. – Install the two rpm packages as following. Type ‘ sudo vi ~/.X.d/launch_ica ‘, then add the following lines. Type ‘ chmod a+x ~/.X.d/launch_ica’ to make it executable. – Click ‘Wbar Conf’ in Control Panel. – Right click and choose terminal, then type the following command. – Choose ‘Citrix XeanApp View’ and type in your server address. NOTE: If you get a certificate error messages, it means you have to add the CA certificate to your trusted CA. E.g Go to ‘https://www.thawte.com/roots/’ and download thawte’s root CA certificate to ~/download/, then import it to the trusted CA. If everything is OK, the authentication window should pop up now. If the Citrix Receiver authentication window can not pop up automatically after the reboot. Add the new line ‘sleep 5’ before #Launching Citrix Receiver in step 7). With 12.1 receiver it gave me an error that it cannot convert from ISO-8859-1 to UTF16; I solved by installing also glib_gconv.tcz. But now I really don’t know how to map client drives (esp. USB ones). Did you succeed in? How? Yes, I did. You can set up the map drives in Citrix Receiver: Tools/Settings/Drive Mapping, make sure you choose ‘enable drive mapping’ and ‘enable read/write’. Of course you can. Simply add your mounting USB script to the file listed in step 6. I’m modifying and saving the etc/inittab file to disable CRTL-ALT-DEL simply beacuse when you want to lock your screen in Citrix it reboots 🙂 but the inittab file defaults back to it’s original state every time I reboot. Have you got any idea how to make this work permanently ? Hi JK, did you backup your changes before reboot? I mean the tinycore backup. If not you need to do so, as the auto backup has been disabled. If you already backed it up, it might be caused by that the /etc/initab is not in your backup list. There is a file which you can specify which files you want to backup. 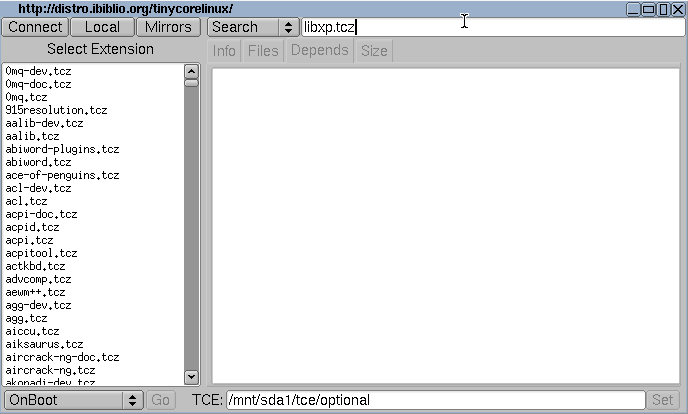 I don’t have a tiny core machine around, so I can not tell you the exact path of that file. You should be able to find it in the TinyCore wiki page. You perhaps already figured this out but if you add xorg-7.6.tcz with the Apps program this will allow the disable of CTRL-ALT-DEL successfully by commenting out the line in the inittab file. 🙂 I did it and it works perfectly to allow the user to lock the screen in Citrix but doesn’t reboot the underlying Tiny Core linux. still i cannot disable crtl alt del from shutdown my tiny core. add xorg-7.7.tcz and commenting in inittab already done. what was i miss ??? After you edit and save the inittab file you must add it to the filetool.lst so that your saved file gets backed up. Add /etc/inittab to the filetool.lst file with the following command and save it. Then backup your configuration with the following command which will then include your modified inittab file. Note that in the above command the sda1 may need to change to sdb1 if you have a hard drive in the pc. i already save the inittab to filetool.lst and backup with this command ” sudo /usr/bin/filetool.sh –b sda1/tce “. but still cannot disable ctrl alt del from shutdown my tiny core. I’m add xorg7.7.tcz not xorg-7.6.tcz because of this ? Hmm…I’m not sure what the issue is then. I’m using TC 4.7.6, hence the xorg-7.6.tcz. I would remove that library and the ctrl-alt-del was a no go, but when I added it the ctrl-alt-del worked perfectly. I did this a couple times to be sure. It could be the version of TC that you’re using. I have not worked with the later 5.x versions. Hi, I am stuck at stage 3. Please can anyone help. I have 1 small issue though. 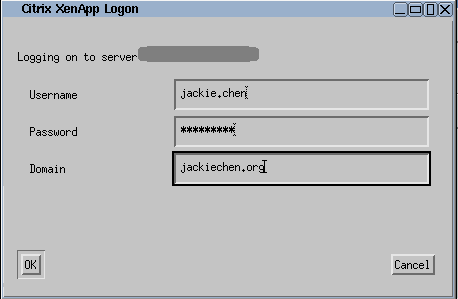 I have setup an connection to a server however I need to login as domain\username but when pressing the key for ‘\’ i get ‘<' instead. I have loaded the uk kmap but this seems to have no effect. Do you have any suggestions on how I could get around this issue? My keyboard is not US. How to add a keymap? The extension “kmaps.tcz” was created just for this. It includes all keymaps from the kbd package. Keymaps have to be changed in the console, not in X.
I realize it has been a while, but how did you get passed the access denied error? I tried exactly as provided but get a “not found” error. If I removed the $ from downloads, I get the permission denied notice. Please remove this post and my previous post – I realized what I did wrong 🙂 The part with the $ after it was after doing a “cd /downloads” — duh!! I’m trying to run a startup/boot message on these clients but not sure what do I need to do. Tried modifying the /etc/init.d/tc-config file with one more line echoing the message on the screen, but it does not display on bootup. Any help would be appreciated, just a simple message on the screen I want, displaying the Laptop asset tag number on the screen when the client boots. Many thanks! I managed to do it. I’ve edited /opt/bootsync.sh and running an external script from it with a message. It always works for me. I guess you might miss some dependent packages. Try to run it from command line, it should give you some useful information. Great article. I’m almost there. The machine will boot up to the Citrix Receiver window but does not automatically prompt for credentials like your first screen shot above shows. Any ideas? It works for me everytime. So I guess you probably did not configure the XenApp server correctly in the Receiver. Did the window pop up when you manually type the command? Yes, the window pops up asking for credentials when I manually enter the server address. 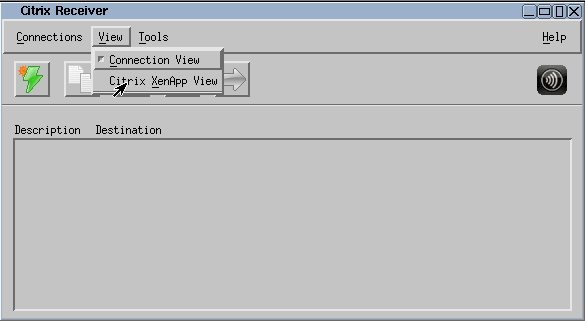 The “XenApp View” never seems to be the default when the receiver starts up though. It always defaults to the “Connection View”. I believe you missed the step 11). You need to save your changes before restart. at the step with vi ~/.profile i moded the backup=0 but how do i save the file ? at the step with vi ~/.profile i modded the file but how do i save it ? 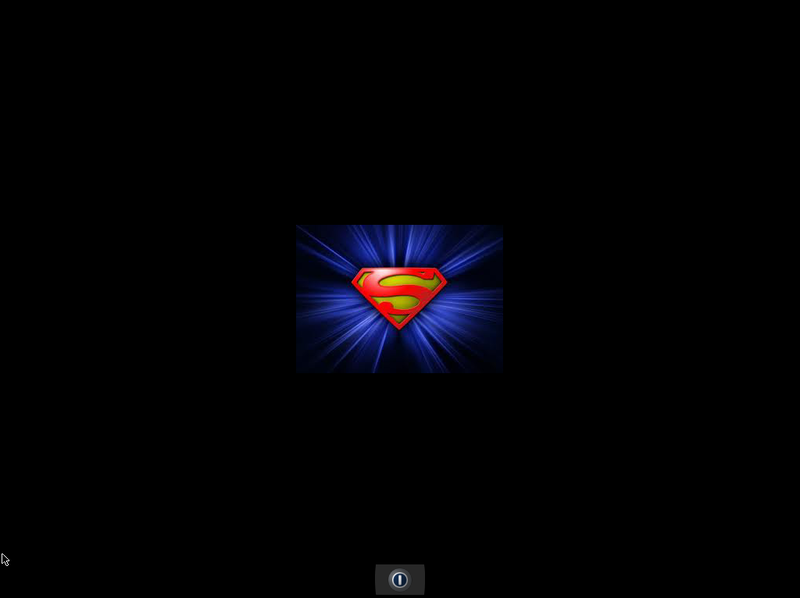 im a noob at this…. In the vi editor you’ll press ‘Esc’ to quit insert mode and then a :w will write the file and then a :q will exit the vi editor. i got one prob do. when i start everything works fine but the citrix windows pops up 2 fast. i need to click cancel a few times before it gets connected to our citrix server. is there a way to speed up the network discovery or delay the citrix vendor ? by sleep 5 for example but a higher valeu ? Add something like the following script to check the network readiness. Hi – great guide, got a system up and running perfect – just what I wanted. However, it loads so fast the receiver errors as the network is not ready. This post seems to be what I need, but im no Linux guy – where would I add this script to wait for the LAN please? Thanks for the article! I have a question… How do you remove the right-click option from tiny core. It can be found in step 7). I’m down to the certs, but still getting the cert error (61). Our site certificate is from GoDaddy and have downloaded the root, intermediate and cross intermediate CRT files from their repository. All three are listed in the cacerts folder. (I’ve tried multiple methods to get this to work – export from FF and copy, direct wget from the GoDaddy repository, etc). Still the 61 error. Thoughts? Ideas? I’ve checked the director and the file is there. I did the ln commands earlier but I’m just not sure how to go about fixing this issue. Do I need to add something in the wfclient.ini file? Hi, what about Citrix Receiver 13. I’m using this box in a kiosk setting and would like it to log out of Citrix Receiver when the user disconnects or logs out of VDI OS. Has anyone figured out how to do this? Wyse terminals have it as an option. I use TC 4.7.6 with WiFi as you describe and it works great. I’ve got a Word document that I created with the steps I did. Send me your email address at raoehrle@hotmail.com and I will email you my Word document if you like. u have try install receiver 13.x version ? Can you do a Citrix Thin Client using ubuntu 18.4.1 and workspace app 1901 for Linux?